Idaho is blessed with spectacular night-sky views in our rural areas. 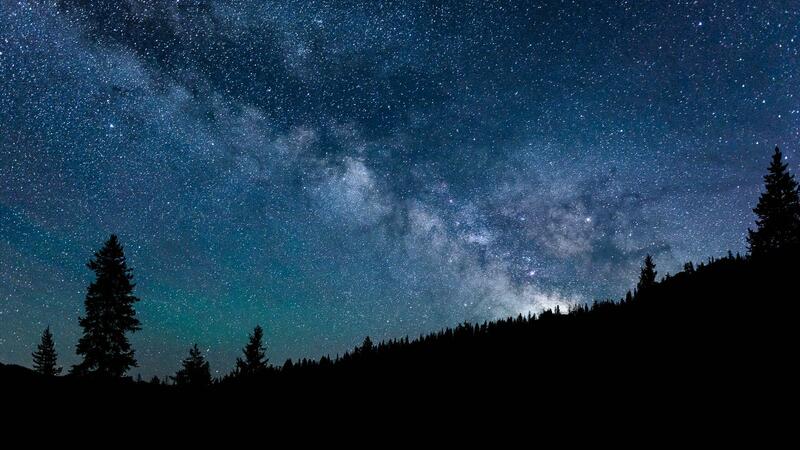 A collective commitment by communities, private land owners, and public land managers worked to get America’s first dark sky reserve designated in Central Idaho to make sure that future generations will be able to enjoy our incredible night skies, and to preserve the benefits of a dark night sky to both humans and wildlife. Learn more about the recently designated Central Idaho Dark Sky Reserve and the work behind it. New research shows that 80% of the planet’s land areas and 99% of the population of the United States—are under skies so blotted with artificial light that people can no longer see the Milky Way. We’re familiar with the idea of land, water and air pollution but did you know that inappropriate or excessive use of manmade light is considered light pollution? Some common types of light pollution include glaring or bright lights that impair our eyesight and actually make it harder to see objects directly in the glare. Light trespass occurs when light intended for one purpose impacts adjacent places or people. 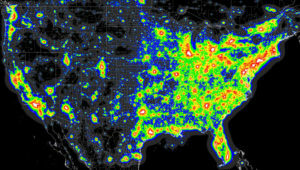 The familiar sky glow that lights up the sky over cities and brightly lit businesses is another example of light pollution. The inappropriate or excessive use of artificial light can have serious environmental consequences for human health, wildlife and our energy grid. Human health—Exposure to artificial light at night can can negatively affect human health by increasing risks for obesity, depression, sleep disorders, diabetes, breast cancer and more. Wildlife—Many creatures including amphibians, birds, mammals, insects and plants are affected by light pollution. Artificial light disturbs sleep patterns and interferes with reproduction. Energy—According to the U.S Department of Energy, about 35% of light is wasted by unshielded and poorly aimed lighting— that amounts to $3.3 billion and 21 million tons of carbon dioxide per year. Heritage – Throughout history humans have looked up at the natural night sky with awe and curiosity. The loss of a truly dark sky affects our shared heritage. The starry sky has provided navigation assistance, spurred scientific endeavors, and inspired artists, poets and stargazers. There are several things you can do personally to help fight light pollution. Here are a few ideas for what you can do around your home, business and community. Poor lighting not only creates glare and light pollution but also wastes enormous amounts of energy and money. Take a few moments to check your property for inefficient, poorly installed and unnecessary outdoor lighting. Learn how by visiting the International Dark-Sky Association’s (IDA) residential and business lighting webpage. You’ll be surprised how much eliminating or adjusting a few bulbs around your home improves the view. After you have made a couple changes, take the opportunity to get reacquainted with the nighttime sky. If you’re really interested in preserving our night sky, take a moment and learn about the Central Idaho Dark Sky Reserve. Look for the International Dark-Sky Association’s fixture seal of approval on any outdoor lighting you purchase. IDA maintains a searchable database of lighting products certified to minimize glare, light trespass and skyglow. Use these products when replacing outdated or inappropriate lighting fixtures. You can be a powerful dark-sky advocate in your neighborhood, your city, and even your state and country. Solving the light pollution problem involves raising awareness of the issue so that people are empowered to make better decisions as consumers, voters and community members. Use resources like IDA’s general brochure, “Losing the Dark” video, or mobile apps to help spread the word. At the heart of reducing light pollution is smart community planning. Numerous cities and counties in Central Idaho already have dark sky ordinances that require shielding of outdoor lighting. But given changes in lighting technology and the recent surge in LED popularity, revisions to many older dark sky ordinances are becoming necessary. CIDSR representatives and the Idaho Conservation League have been working with local governments to assess the need for adopting or improving existing ordinances. If you have any questions about this process please send us an email.